I was going to talk about Susanna Wesley and her son, John Wesley yesterday, but I chickened out. Instead I will pass on a public service announcement. Get your regular flu shot today; I am. Yesterday I was going to talk about the betrayal of myth, when a hero turns out to be tarnished. This happened to me for the first time when I read the personal journals of John Wesley. If you are unfamiliar, Susanna Wesley, especially among evangelical circles, is held up as the perfect mother. She home schooled all her nineteen children. Her private sermons were so influential she was soon teaching practically the entire village. Her son John was the unintentional founder of Methodists, which eventually merged with the present-day United Church. John Wesley taught an experiential faith, which of course evangelicals love. So what knowledge shook me to the very core? It turns out that Susanna had a breakdown of some sort, and had to go away for a while. I should not be surprised. Nineteen children. As for John, he was a failure in the New World when he tried to apply his Church of England principles on a raw populace. His strict principles failed in practice. He came back to England a humbled man and was better for it. Now the principles I'd lived by were shaken, and all of a sudden I was alone on a rocky shore. I wondered, are there any heroes? There's a sense of betrayal, too. Both by the idols on their pedestals, and the institutions that put them there. Why have their flaws been glossed over? These unhappy emotions were followed by relief. Maybe these perfect models cannot be followed, because nobody's perfect. Perhaps the endless search for perfection is the burden I am to put down. Of course no-one is superwoman. There's a price to pay by trying to do it all. Now that I have a clearer picture of these "perfect" models, I can give myself, and my principles, a break. I am now much more ready to put aside a cherished principle, if it proves to fail in practice. Instead of blaming the victim, blame my application. Try again. Now, why have the institutions glossed over the flaws and for the casual observer, these heroes are modeled as perfect? I think this tendency comes from our desire for order in the universe. It would be so much easier to make it through this chaotic world if there were a list somewhere of do's and don'ts. The alternative is to weigh each decision examining personal motives, make the wrong decision anyways, and apologize a lot. The alternative is to be human. Anyways, enough about what I wasn't going to talk about. I notice that the announcers for the flu shot are careful to preserve personal choice. It's up to you if you want to get your flu shot and your H1N1 shot later. 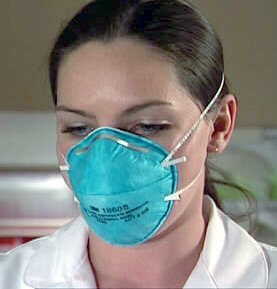 For those who don't want to take any risks at all, I guess you will be spending the next few months in the basement wearing an N95 mask eating tins of beans out of your emergency stash. Some risk takers are hoping to get the real flu and get it over with. I've weighed the relative risks and decided to go with both vaccines. I notice that our slightly neurotic society doesn't like any risk at all. We prefer choices without ambiguity. Unlike our ancestors, we are unacquainted with death and tragedy and would prefer to skip that lesson altogether, thank you. If the story of generations is correct, however, our youngest generation will become all too familiar with overcoming adversity. We face a pandemic and a serious economic recovery at least. For a season, gone is the luxury of a hazard free life. I guess the Wesleys and the flu shot do have something in common. There are no perfect choices. We all must bumble through the best we can, and apologize a lot.